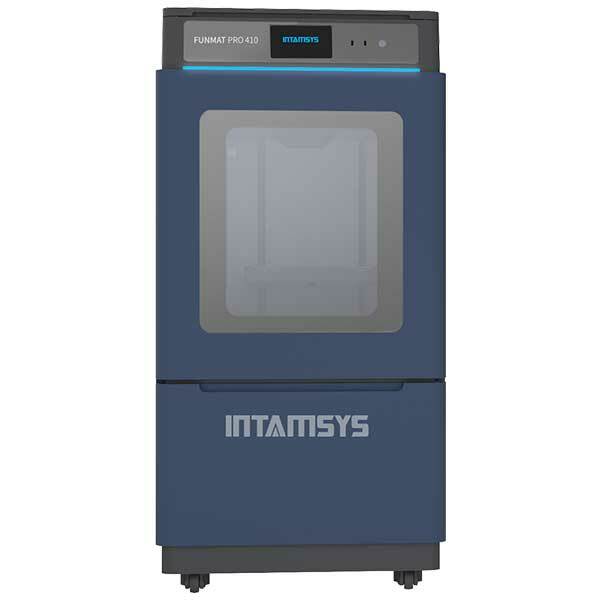 The INTAMSYS FUNMAT PRO 410 is a professional PEEK 3D printer made by INTAMSYS, a Chinese manufacturer. INTAMSYS specializes in high-temperature 3D printers for high-performance materials. These engineering materials include PEEK, PEKK, PC, and PEI (among others). 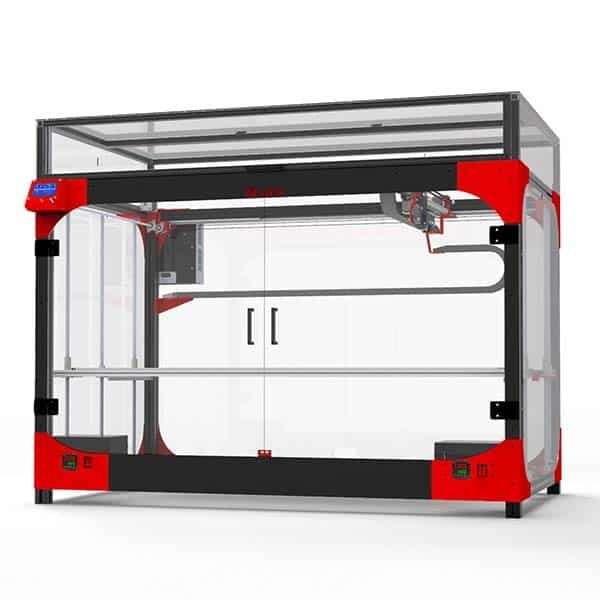 Large build volume: the FUNMAT PRO 410 boasts large build volume, especially for a PEEK 3D printer. Heated chamber and filament compartment: the build area heats up to 90°C. The filament “dry box” also features a heating module. 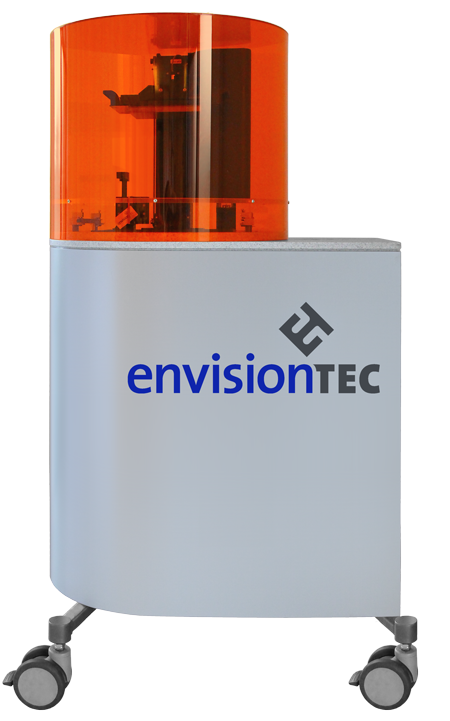 High-temperature dual extruder (450°C) with automatic cleaning: dual extrusion enables users to 3D print with two materials at a time. 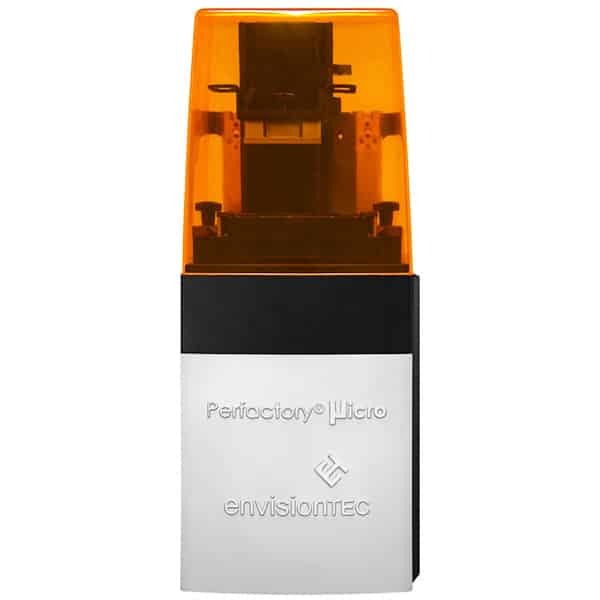 An auto-cleaning station ensures the nozzles are free from residue before starting to 3D print. Smart monitor and control: the 3D printer warns users when there is a filament jam and/or lack of material. Also, the FUNMAT PRO 140 is able to pause and resume 3D prints (useful in case of power failure). High-precision auto-leveling: the glass ceramics print bed features automatic leveling and is able to heat up to 160°C. 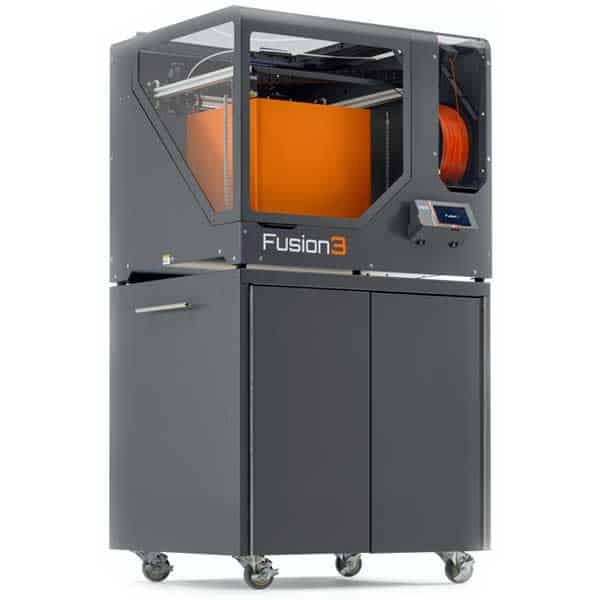 Other interesting features on this high-temperature 3D printer include an onboard camera, Wi-Fi connectivity, 7-inch touchscreen, and different nozzle diameters (0.25 mm, 0.4 mm, 0.5 mm, 0.6mm, 0.8mm, 1.2mm). 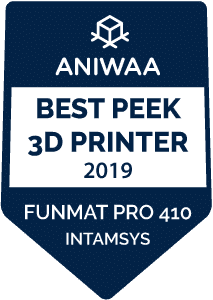 Software-wise, the FUNMAT PRO 410 comes with IntamSuit (INTAMSYS proprietary software for Windows), but users may also use Cura or Simplify3D. 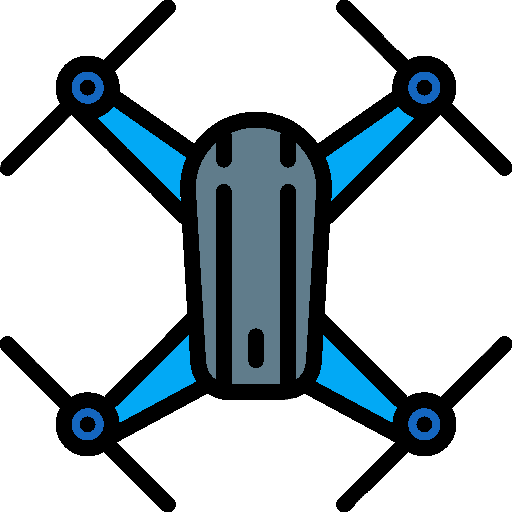 The Funmat Pro 410 costs around $20k. Please contact the manufacturer to obtain a detailed quote..
INTAMSYS also manufactures the FUNMAT HT and FUNMAT PRO HT. Discover more 3D printers with our 3D printer comparison engine.